Mexico Dance Adventure, April 9-16! with Ari Levitt, Jae Gregory, & Company! 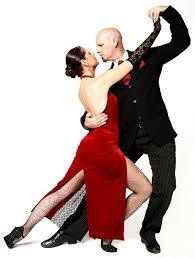 The dance classes will be Latin flavored (salsa, cha cha, rumba, merengue, bachata, and tango, PLUS optional blues, swing, fusion, ballroom and other styles at the groups discretion) with an emphasis on connection, fun & playfull combo's, and effortless partnering. There are also numerous fun activities that you can do on your own, from relaxing on the beach, birding, enjoying a morning stretch on the huge Palapa-covered deck, engaging with the wonderful people who live here, swimming in the calm bay, taking a yoga class, soaking in the ocean-view infinity-edge pool, enjoying a margarita with toes in the sand, learning spanish with a local tutor, or volunteering for a few hours at a local school. The sky's the limit!